5. A pop up message will appear prompting the connectivity options you want, WiFi and Bluetooth or USB connection type. Restart your device and that is it! For Globe Settings (3G MMS) or you may refer to this post Globe GPRS and APN Settings. 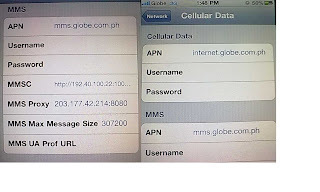 For SMART network settings (3G MMS) or you may refer to this post How To Activate SMART GPRS Settings. For SUN Cellular network settings (3G MMS) or you may refer to this post Sun Cellular GPRS 3G MMS Settings Activation.